Is the Master of Science in Applied Statistics program entirely online? How many credits are required for the program? Can I transfer credits from another university into the program? What is the math prerequisite for this program? Why is the program housed in the College of Agriculture and Natural Resources? How long does it take to complete the online Master of Science in Applied Statistics program? What is your online learning platform? How much time should I expect to dedicate to the online Master of Science in Applied Statistics program each week? Am I required to log in to complete coursework at specific times of the day? Are assignments due on a particular day or time? How quickly can I expect my instructors to answer a question I may have? Is this program available to international students? Yes. There is no campus component to this program. The program requires a minimum of 30 credit hours of coursework: 15 credits of core courses and 15 credits of electives. The department will evaluate credit transfer requests at the written request of the student. See our admissions page for details. Competence is expected in basic statistics, linear algebra, and advanced calculus, and applicants must submit GRE math scores and detailed information about their math background as part of the application process. 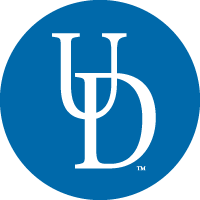 UD offers a bridge course to prepare students who require a more sufficient background in statistics. These students can take STAT 608 (Statistical Research Methods) online any semester prior to beginning the program. Credits for STAT 608 do not count toward the degree’s 30-credit requirement. ASTAT is an all-encompassing applied statistics program, offered by the Department of Applied Economics and Statistics, which is housed in the College of Agriculture and Natural Resources. ASTAT is not an agricultural statistics program. Agriculture, however, was one of the first industries to adopt applied statistics and there is a strong historical link between the agricultural industry and the discipline. Statistics programs at universities are housed in a range of departments and colleges including mathematics, business and agriculture. Most students will complete the program in 2 1/2 years. Note: Students are required to complete the degree within six years of starting the program. Canvas, which is currently used by over 2,000 schools throughout the United States. Students typically spend three hours of study/reading/homework for every hour of lecture. No. The online Master of Science in Applied Statistics program is asynchronous and there are no set log in times. Students are provided with flexibility to complete their coursework largely on their schedule. Assignment deadlines vary by course and instructor. Some instructors may require students to meet specific deadlines throughout the course. Other instructors may only require students to complete all assignments before the section exam. Instructors will respond to questions within 24 hours. Yes. Students may choose to complete this program part time. It is geared toward working professionals. Yes. The program accepts international students, but does not sponsor visas. View our additional requirements for international students.